Mapy doesnt’ work for me in Ubunut 7.10 / Python 2.5.1. Anyone has try mapy in Ubuntu? As I mention in my last post, I add custom command port to mapy. Make sure that you have latest versionof mapy. You should use an available port, not a used one. hey rferl, Im using conTEXT and I’ve got mapy working (fan-freakin-tastic thanks man) but yeah selected text transmission isnt working for me, it always tries to send the whole lot. what should I check here? So is Mel Studio Pro out for Maya 2008? On Digimations website it says only to 8.5? Maxya MEL Script Editor Professional is a Standalone Windows x86/x64 platform based Tool that increases Maya scripting and decreases script development time.Its not a plugin for Maya thus it does not need Maya Opened.Also It works with Maya directly if you run commandport command or not.It connects directly to maya interface to run commands. All three feature is assigned to shortcuts. that really increases your coding abilities to a next step. Maxya MEL Editor is Maya Version Independent.Because it does not requires any Maya installed.also it works if any Maya Installed.It is all compatible with Maya 4.5 to Maya 2008 and next future maya versions.Maxya works on Windows XP,Vista both x64 or x86 technologies. 2.command running to maya disabled. if thats as good as it looks then youll have a new customer in me! downloading the trial now. I love proc grouping and the ability to roll/unroll them (whatever you call that function). cheers! As I’m stuck with mel studio. 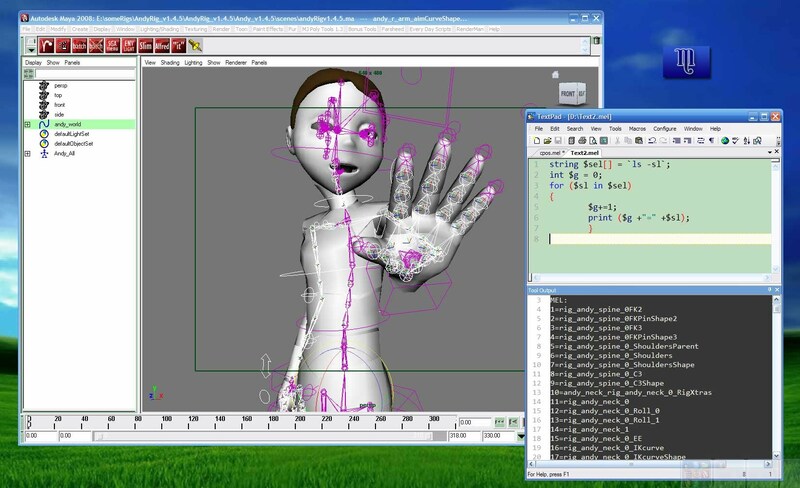 So, any news about Mel Studio Pro for Maya 2008? I have received the MEL Studio Pro mll for Maya 2008 from Digimation support. Great plug-in! A bug fix version of mapy has been released. some little bugs in python mode have been fixed now. 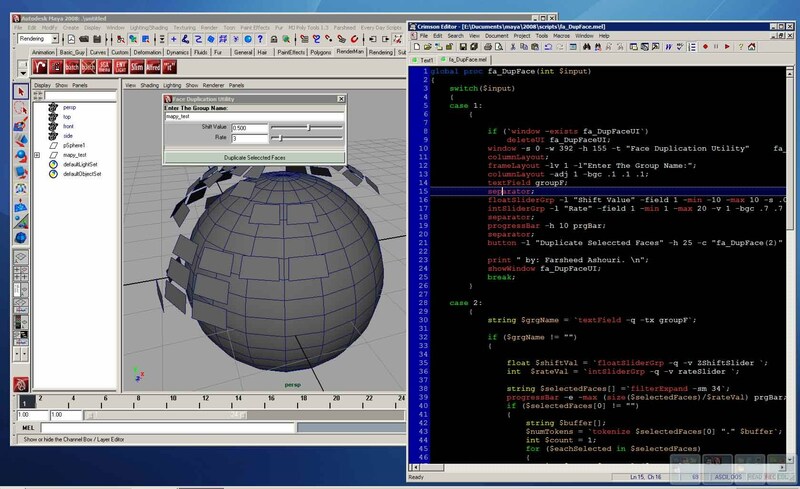 i also would like to know if the current version of MEL Studio Pro supports Maya 2008. I tried to contact the support team of digimation (twice) but no answer till now. If i buy the plugin right now at the online store, will there be the .mll file - mentioned some posts above - already included? I received the Maya 2008 plug-in of MEL Studio Pro from support per mail (not from the download section). So far digimation support has always replied very quickly when I mailed them ( less than 24 hours ). I wrote two emails regarding MEL Studio Pro to the support team but without any answer. So at the moment i’m concerned about buying this plugin when getting no answer to a simple question respective after buying it no updated version for Maya 2008. Sorry for the triple posting. Last two of them can be deleted. Hi every one. I would like to thank all of you in cgtalk who helped me developing and debugging mapy. And I am happy to announce you that after few months of programming and debugging, mapy is in a pretty stable and useful state. Farsheed, thanks for coding up Mapy and making it free. I’m just getting into MEL scripting with Maya PLE and it’s proven very useful - works pretty well with notepad++ (my weapon of choice). Thanks WoolyLoach. Notepad++ in good but don’t miss SciTE. Just try SciTE + mapy once and then make a decision about your favorite script editor. As a matter of fact, I started coding mapy as fun, but after finishing it few days ago, it became as a serious pipeline tool for our studio.Especialy mapy let us to code Pymel (Python) in our favorite editor.